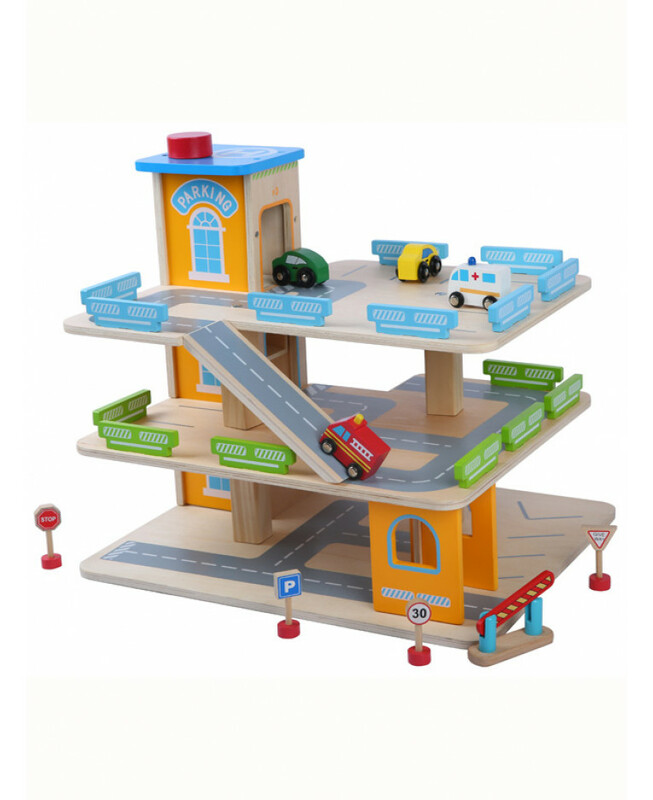 This sturdy Wooden Car Park toy is ideal for encouraging imaginative play. It is spread over three levels which are connected by ramps, with a central working lift to ferry drivers between the levels. 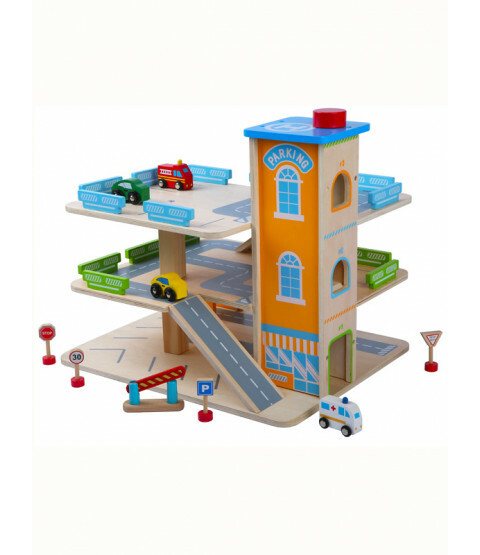 The garage comes with four vehicles and traffic signs and will provide hours of creative fun for your little one!